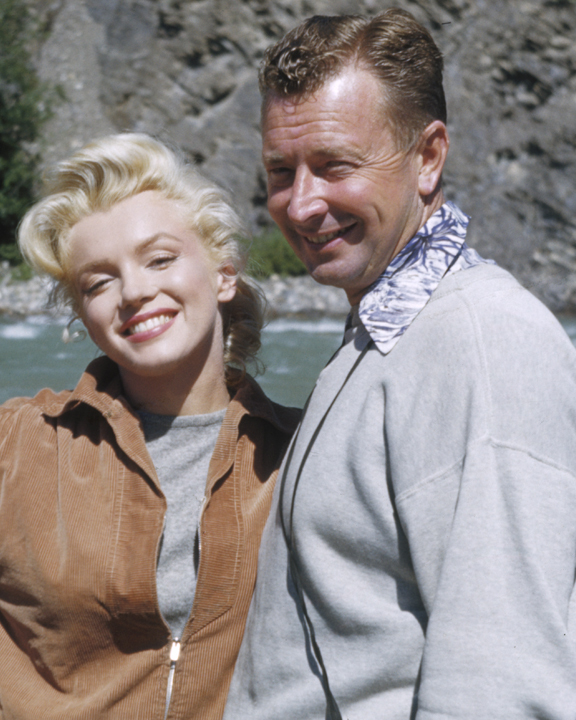 Imagine that you were lucky enough to be working on a film set with Marilyn Monroe? Pretty special… yes? And imagine further that Marilyn Monroe said to you, “I’m nervous and can’t relax, would you take some pictures of me.” How special would you feel now? Well, makeup artist Allan “Whitey” Snyder was that person. Marilyn would often get nervous during the long days working on films so she would ask Allan to photograph her which would help her relax between filming. Because of their close friendship, those impromptu photo shoots often showed a more natural unguarded and intimate side of the screen legend. Allan “Whitey” Snyder (August 7, 1914 – April 16, 1994) first met Marilyn Monroe during her initial screen-test at 20th Century Fox in 1946. The two became instant friends and Allan was her on-screen and personal make-up artist for the next 16 years. Working with Marilyn on most of her films through and including her last and uncompleted film “Something’s Got To Give,” the two developed a close friendship and working relationship that lasted until her death in 1962. The two had a unique and complicated relationship, as demonstrated when Marilyn asked Allan that if she died before he did, would he make her up for her funeral. Allan jokingly told her, “Sure, drop off the body while it’s still warm and I’ll do it.” Marilyn in turn, with her own sense of dark humor, bought him a gold Tiffany money clip which she had engraved: “Dear Whitey, While I’m still warm, Marilyn.” Ultimately, Allan kept his promise and did Marilyn’s makeup for her funeral. He was also one of her pallbearers. Allan had a long and immensely successful career as a as a make-up artist which included two Emmy nominations, the first in 1978, for his work on the TV Biopic Marilyn: The Untold Story, and in 1981, for Little House on the Prairie. His last project was the 1984 television series, Highway to Heaven. Allan was an avid photographer and would bring his camera with him while working on location shoot to give him something to do when not working. Allan never intended his work to be published little less sense by anybody but close friends and family. Recently Allan’s long lost photographs were discovered by Allan’s estate. The collection of never-before-seen photographs of Marilyn Monroe were taken between 1953 and 1956, show a relaxed playful Marilyn while on location for some of her best-known films “Niagara” (1953) “River Of No Return” (1954) “Bus Stop” (1956) and “The Prince and the Showgirl” (1957). The photos are exclusively available on Limited Runs.